From Monday through Wednesday, November 19-21, clients went to Loaves & Fishes to receive donated food for their Thanksgiving meal. 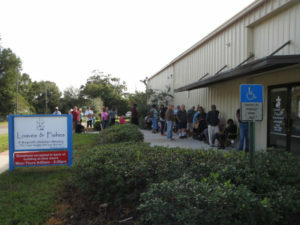 Pictured is a line of Loaves & Fishes clients on the morning of Monday, November 19, waiting to receive their turkey and Thanksgiving food items. 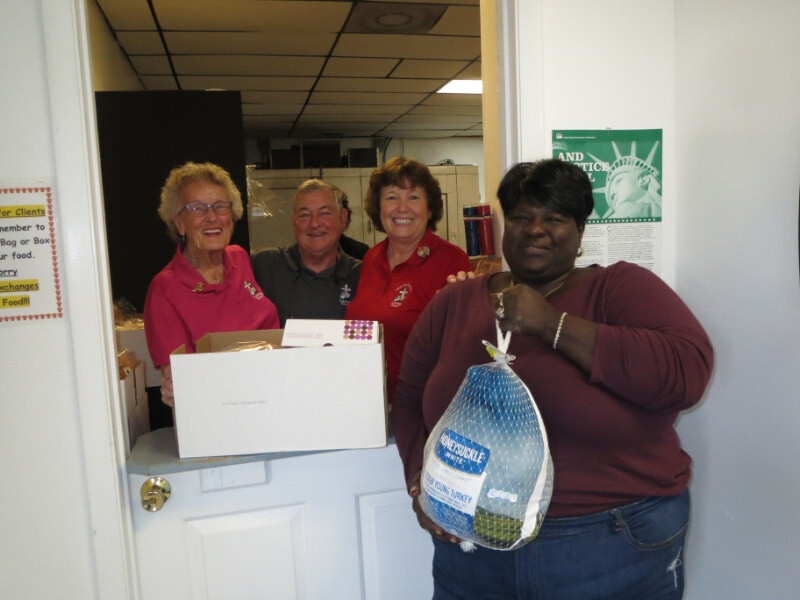 Loaves & Fishes’ first client, Sabrina Jones, receives her Thanksgiving turkey and all the great fixings on Monday, November 19. Pictured with her from left to right are the Monday morning food distribution volunteers Mary, Melony, and Bill.